Jody Wilson-Raybould has been choosing her words carefully since resigning from cabinet – but when it comes to her treatment under the Liberal government, her father isn't mincing words. Speaking to CTV News on Tuesday, Bill Wilson said the decision to remove his daughter from the role of justice minister last month and appoint her minister of veterans affairs effectively took "the voice of Aboriginal people out of the higher echelons of power." "The prime minister kicked my daughter in the teeth, demoted her to an important portfolio but one which has no power," Wilson said. Wilson-Raybould made history as Canada's first Indigenous justice minister and attorney general back in 2015 and served for more than three years before being shuffled out in mid-January. She resigned as veterans affairs minister on Tuesday amid allegations she faced pressure to protect SNC-Lavalin from prosecution in her former role. Asked whether his daughter deserves an apology from Justin Trudeau, Wilson suggested an apology wouldn't suffice. 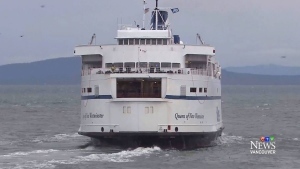 "I don't know how he could apologize other than maybe resign and appoint her prime minister," Wilson said. 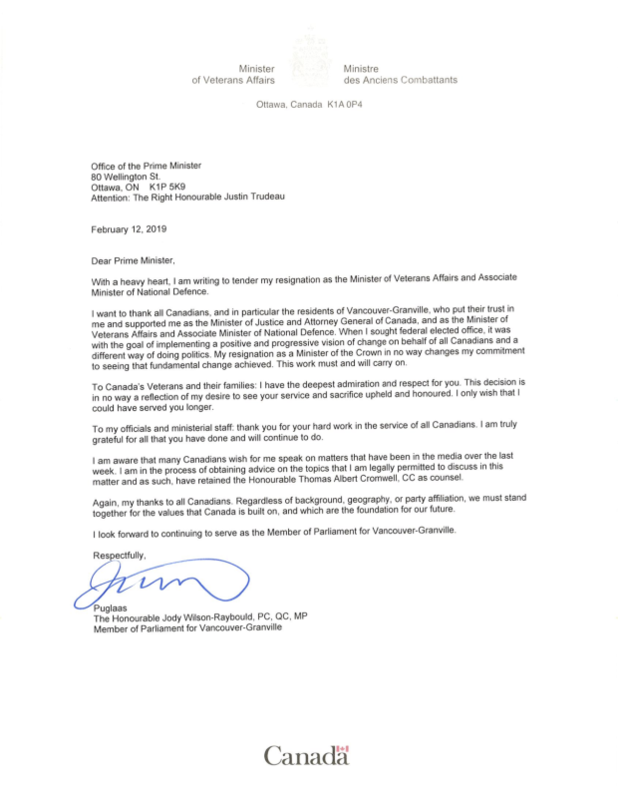 Trudeau has repeatedly denied the allegations, and Wilson-Raybould has not commented on the SNC-Lavalin scandal to either confirm or deny reports she was pressured. In the letter announcing her resignation, she revealed she was receiving legal advice "on the topics that I am legally permitted to discuss." She has previously said she's bound by solicitor-client privilege as Canada's former attorney general. On Tuesday night, Wilson-Raybould tweeted a thank-you to her father for his "unwavering support." 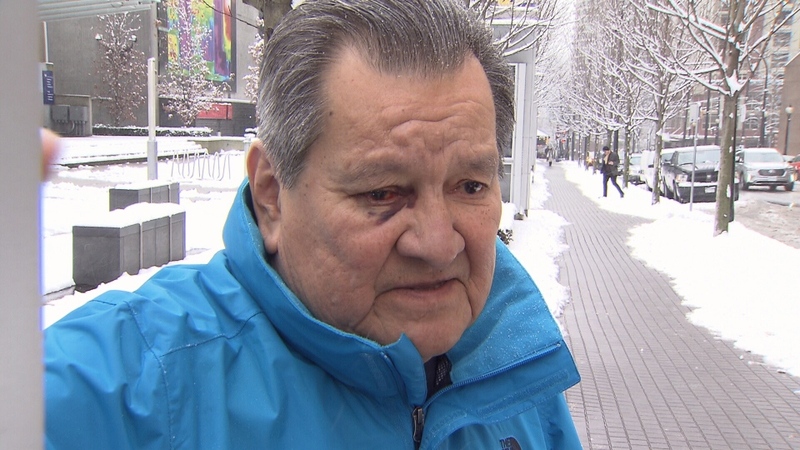 Bill Wilson, father of Vancouver Granville MP Jody Wilson-Raybould, speaks to CTV News in downtown Vancouver on Tuesday, Feb. 12, 2019.